No matter your POV on the Super Bowl, it’s a great day to stitch. Football is great Stitch TV. If you aren’t a passionate football fan and, like me, stuck in some less than ideal weather, what a great excuse to snuggle inside and stitch. 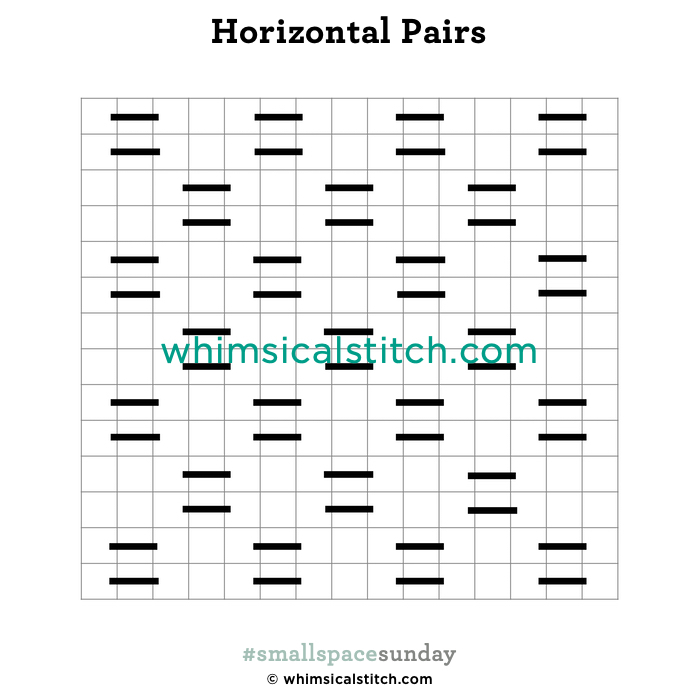 Today’s #smallspacesunday stitch is a great addition to an already perfect day. The stitched sample is from our friend, Sarah (via our other friend Amy Poore of A Poore Girl Paints). As the background stitch, it adds interest but doesn’t overpower the rest of the adorable-ness of the piece. I’ve used this stitch in a few Stitch Concepts. It’s great for a small area of snow with a metallic such as Entice or Kreinik. I’ve used it for a floor with Elegance. To add some interest, consider alternating thread colors or finishes by column (horizontal or vertical…it does not matter).